Bold. Adaptive. Innovative. It has been Josh Akers' goal to empower others through education, developing new ways to access patients, and providing services that allow people to make the best decisions possible for their health and life. Josh completed his doctorate from Washington State University in 2007, and residency from Virginia Mason Medical Center in 2008. He was with Kelley-Ross Pharmacy Group from 2008 until 2017, where he served as the manager of the Clinical Pharmacy Institute. He recently joined Kaiser Permanente as the Manager of Pharmacy Quality and Clinical Operations. David Ansley is a member of the health team at Consumer Reports. His specialty is creation and management of web-based consumer health information, such as Choosing Wisely patient resources and the ConsumerHealthChoices.org site. In previous lives, he has written, edited and published medical information for the BMJ Publishing Group, Web MD, the San Jose Mercury News, and other web and print publications. Karen Curtiss is a leader in patient safety, founder of CampaignZero: Families for Patient Safety and author of Safe & Sound in the Hospital. After a career in marketing consulting for Fortune 500 companies, Karen’s patient safety work was a result of her determination to turn family tragedy into powerful tools to help others successfully navigate the health care system. Karen is advisor to the Harvard School of Medicine, Department of Pharmacology Research at Brigham and Women’s Hospital, the Sentinel University Nursing Degree Program and the CDC’s Infection Control Panel. Dew-Anne is a senior care technology entrepreneur who leads an innovative software company called iHealthHome that connects the entire care team to a senior, their family, their caregivers and healthcare providers. She has over 25 years of healthcare leadership experience in healthcare finance, operations and strategic planning. After more than a decade as a hospital administrator, Dew-Anne co-founded a senior care management and private home care company called Ho’okele in the state of Hawaii. 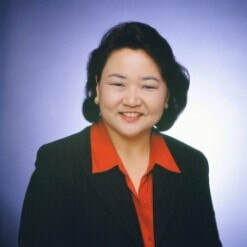 She previously served as Executive Vice President and Chief Strategic Officer for Hawaii Pacific Health, Hawaii’s largest healthcare system, where she was responsible for strategy, business development, research, risk management, patient safety and quality management. Robin Shapiro has always believed that patients deserved additional help and support to make informed, robust decisions about their health. She has a 30-year career in health communications, founding several companies, including Health Advocacy Strategies in 2002. Her passion for health advocacy led her to co-found Allied Health Advocates and the Washington State Health Advocacy Association (WASHAA), where she currently serves as Board chair. Kate Smith grew up working in her family’s nursing homes in Colorado. She acquired a B.S. in Human Services and moved to Seattle in 1984, where she began work in her field. Her stronger calling, however, was in comedy. Kate trained as a clown in Europe and the U.S., the pinnacle as a Professional Hospital Clown at Seattle Children’s Hospital for eleven years. She acquired her funeral director’s license and in 2011 started her own business of officiating funerals. Kate is currently writing a memoir about her life as a clown, and a mother.